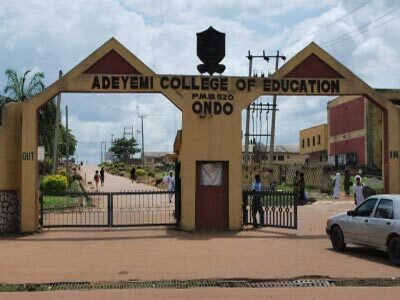 Adeyemi College Acceptance fee – The management of the Adeyemi College of Education, Ondo State (#ACEONDO) has released the amount payable as acceptance fee by all the newly admitted candidates into the college DEGREE and NCE programmes for the 2018/2019 academic session.. This is to inform all the candidates offered provisional admission into the Adeyemi College of Education, Ondo State (ACEONDO) that they are required to pay the stipulated admission acceptance fee as explained below. Adeyemi College of Education Degree UTME Admission List. Adeyemi College of Education Direct Entry Admission List. .
Adeyemi College of Education NCE Admission List. Adeyemi College of Education Acceptance Fee. Click here to login to your ACEONDO portal for payment. Nobody should pay through any consultant/agent or firm as the College did not have designated agents, consultant or firms on admission or payments.